WILLIAM “MICKEY” HARDWICK, age 62. 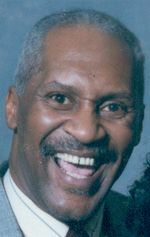 Beloved husband of Linda (nee Tompkins); dear father of Mikki (Exodus) Lett, Les (Mona) Vance, Michael (Sally O’) and Tiffany; grandfather of Angel and William Lett, Lindsay and Landon Vance and Justin Hardwick; brother of Harold, Wayne (Tammy Jo), Roy (Patricia) and Betty Hardwick-Stith; close friend of many. Funeral serviuce 10 AM SATURDAY at Second Calvary Missionary Baptist Church 12017 Emery Ave. Cleveland where the family will receive friends Friday 6 – 8:30 PM and Saturday 9 – 10 AM. Interment Ohio Western Reserve National Cemetery. My deepest sympathy and prayers go out to and your family at this time. The Lord doesn’t make any mistakes. HE knows best. Continue to keep your head up and you see see him again. I truly send my deepest condolences to you and your family in the loss of your belovwed husband. May God give some peace in this most difficult time.